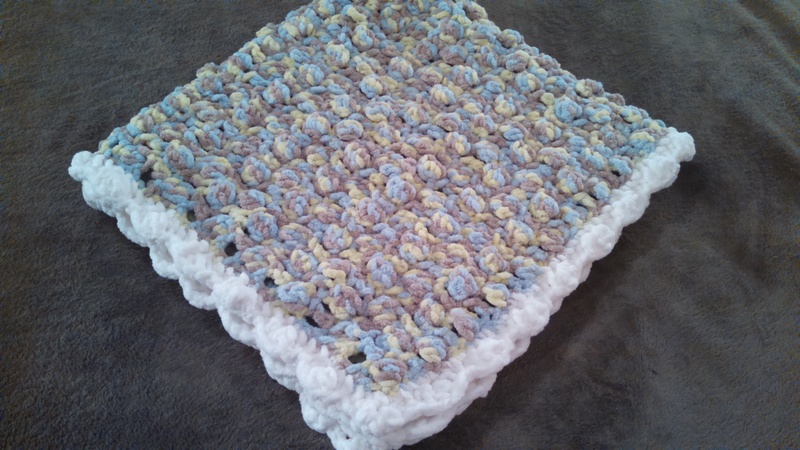 Along with the hats, I have a few blanket projects that I have completed over the last few months. 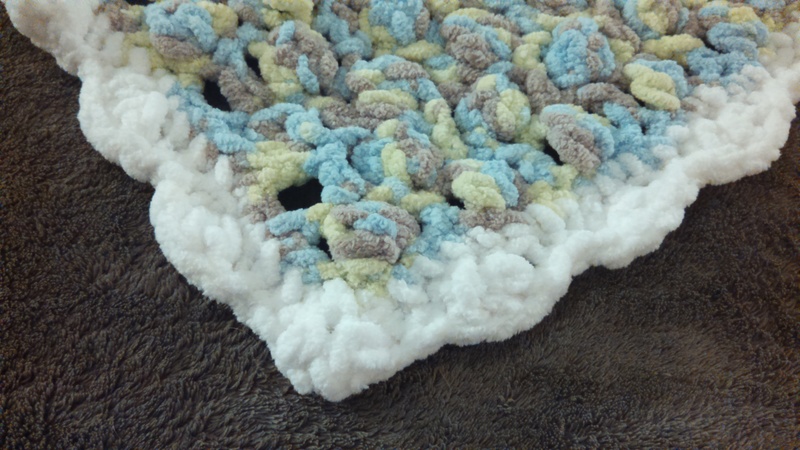 I already shared the knitted blankets that I made, but I decided to try out crocheted blankets as well. I started out small. 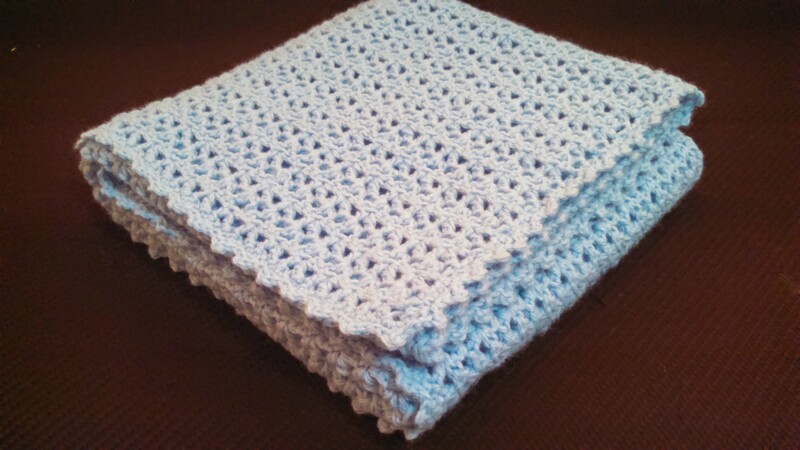 Our previous neighbors had just had a baby, and their now second youngest asked if I could make him a blanket when he saw the other blankets I was working on. He likes to carry toys and things around as he goes, so I knew that a smaller blanket would be easier for him to take around. 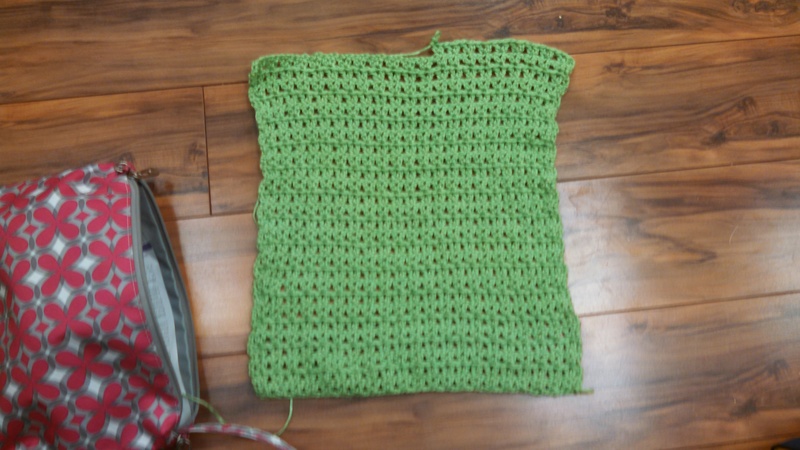 I found a green yarn in my stash, that was his favorite color, and found a pattern I had wanted to try out, Little Boys Favorite Throw. I don’t remember how many chains I started with, but I want to say it was around 45. 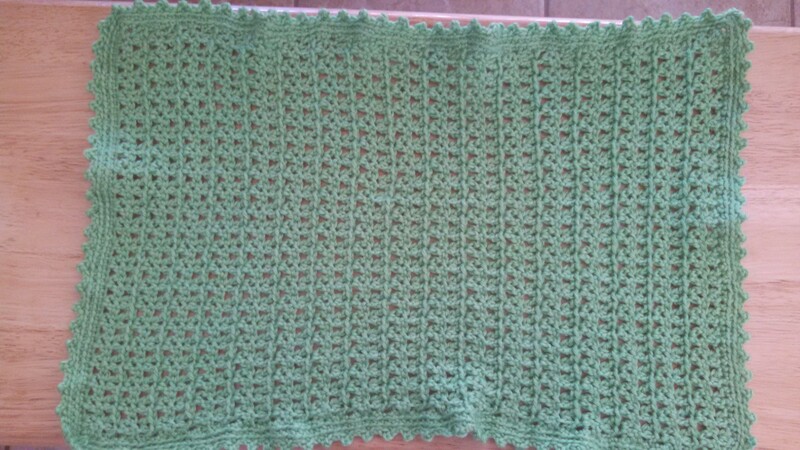 It wasn’t very big, about 13″ x 21″, even after adding an extra row to the border, but he loved it. Start white color in corner. 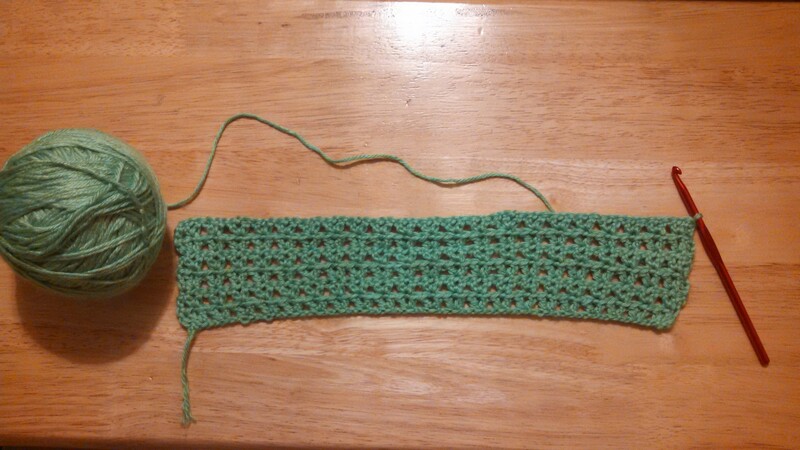 Round 2: ch 3, 2 dc in the same stitch, skip ch 1, sl st next 2 stitches, skip ch 1, 3 dc in next ch 1, repeat from all around, making sure to make the “shell” in each corner. Sl st to ch 3 and fasten. 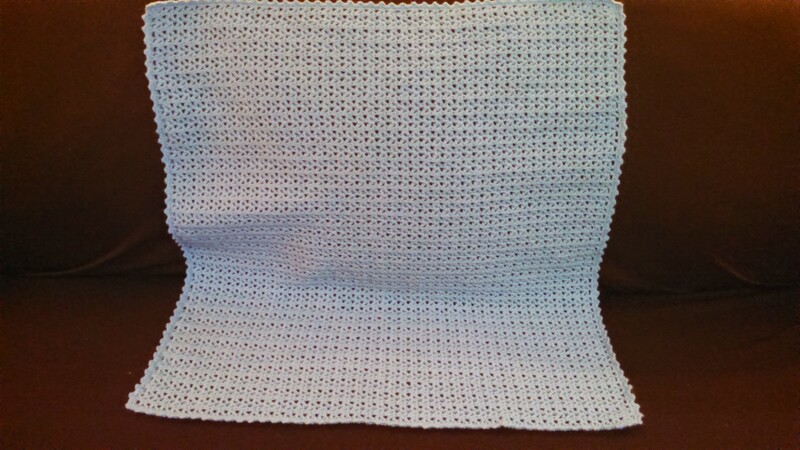 After completing this blanket, my husband said he had another co-worker having a baby, and asked if I could make a blanket for them. With the previous sale at JoAnn Fabrics, I bought a Lion Brand Pound of Love yarn in Pastel Blue, which was perfect since they were having a boy. 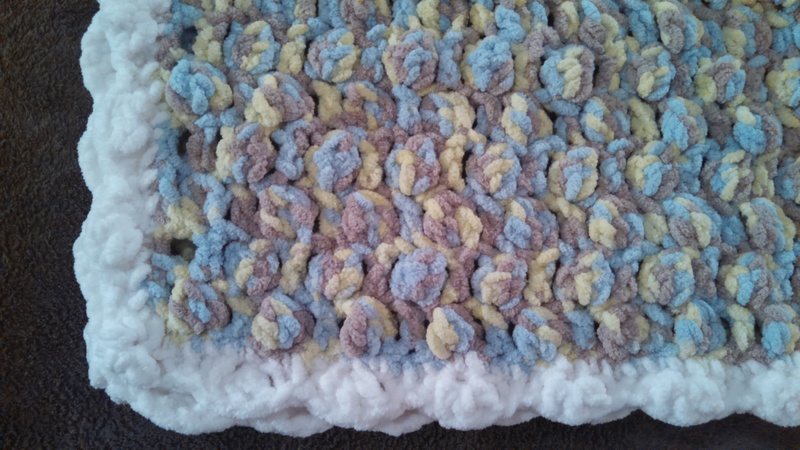 I decided to use the Little Boys Favorite Throw pattern again, and do the full blanket. It was quite time-consuming, but I was really happy with how it turned out. 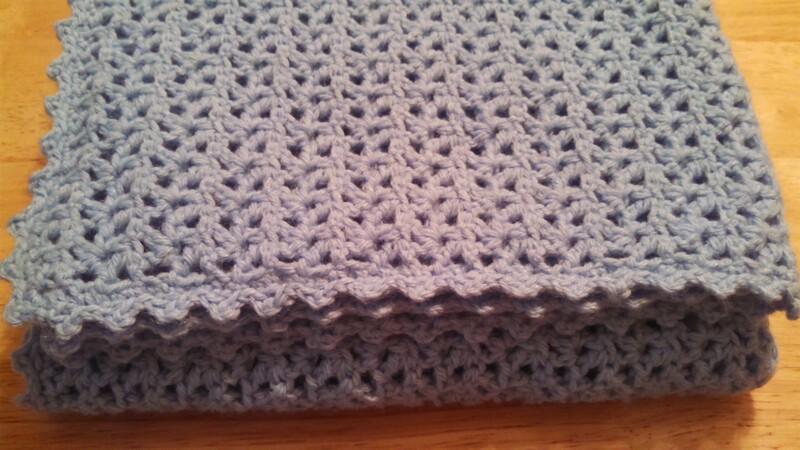 It’s a very nice pattern, and may be my go-to pattern for baby blankets in the future. 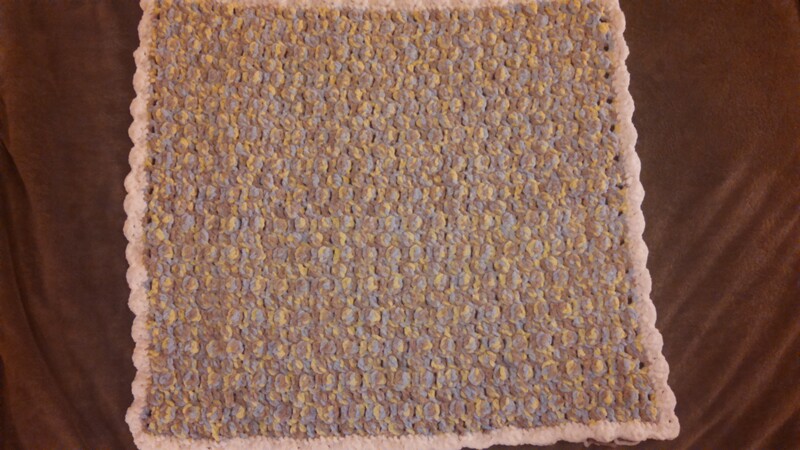 This blanket was 36″ x 36″ as well. 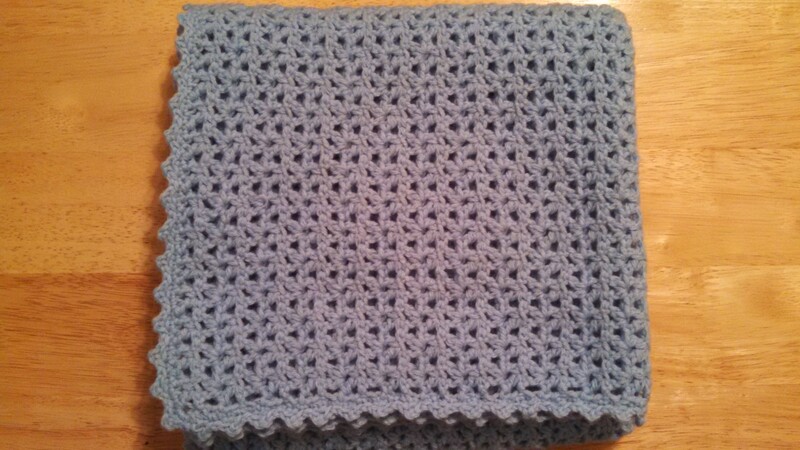 I have plans to make blankets for my girls at some point too, but I need to decide on a pattern and size for them. ← Lots and lots of Crochet Hats! These are so pretty!!! I can do one row. LOL I will def need your help one of these nights at dance! 1 row is a start! Definitely will help you at dance class!